The Internal Revenue Service estimates that roughly 17% of taxpayers fail to comply with the tax code to some extent. Most of this is due to the highly complicated tax codes where mistakes and oversights happen, and not necessarily from intent to commit tax fraud. However, the IRS does investigate and charge individuals and companies regarding tax laws, and if found guilty, these charges can result in stiff fines, penalties, and in some cases, prison time. The IRS specifically employs accountants and attorneys to head their Criminal Investigative Division (CID), which is responsible for investigating the possibility of tax fraud or evasion, including falsification, forgery, and underreporting of income. They know exactly what to look for because they’ve studied the tax code, and know its ins and outs. They are often successful, too — in 2016, over 3,000 investigations were initiated, which resulted in 2,600 convictions and an 80% rate of jail time for those convicted. However, just because the IRS is investigating your taxes, it’s not an instant prison sentence. While it can be worrisome and troubling to get a letter from the IRS, it may not be as serious as it appears. First, let’s look carefully at the difference between tax fraud and tax evasion, what both of those entail, and then go through what can be done to keep you from serious trouble. Tax fraud is a general term that encompasses many different laws regarding the Internal Revenue Service and the United States Code. Tax fraud indicates that the taxpayer or company intentionally defrauded the government by not paying taxes that are lawfully due. Tax fraud is a complicated charge for the government to prove, since it must not only show that tax wasn’t paid properly, but that it intentionally and willfully wasn’t paid. The complicated IRS codes make mistakes a common occurrence, and the government generally has a difficult time proving intent in such cases. The punishment and penalties for tax fraud are generally found within Title 26 USC § 7203 and § 7206 and can vary, but if found guilty of a misdemeanor, people may be fined up to $100,000 (this can increase up to $200,000 for businesses). In certain cases, these charges may be bumped up to a felony offense, which can carry steeper fines and variant prison sentences. Tax evasion is a subset of tax fraud. The term tax evasion is used in a criminal context, and occurs when the taxpayer deliberately misrepresents taxable income and defrauds the government. 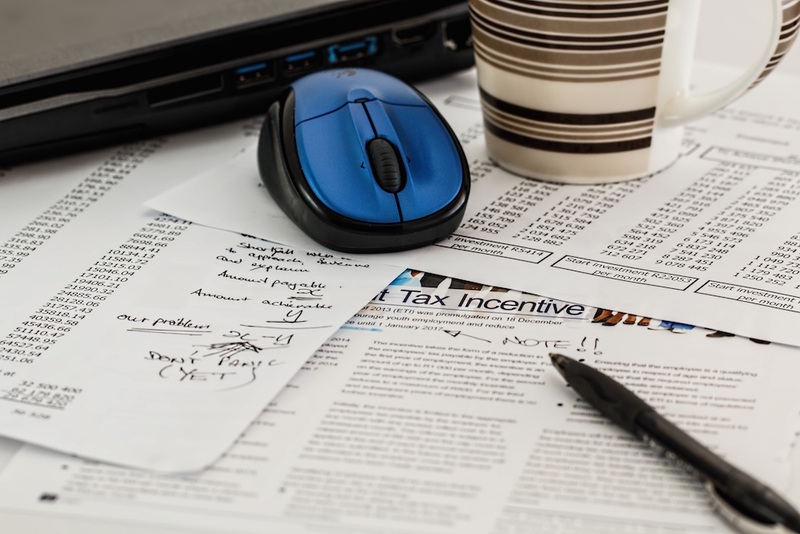 Deliberate misrepresentation can take the form of not declaring all applicable income, overstating expenses and deductions, making false claims, or simply failing to file tax returns. Each of these actions involves intentionally falsifying documents. Tax evasion penalties and punishments are more severe than those of tax fraud and can generally be found in 26 USC § 7201 and § 7206. In addition to paying a large fine, you may be imprisoned for up to five years. Plus, you will likely be responsible for covering prosecution costs. Keep in mind that loss amounts can add up quickly if several people are acting together to commit defraud the United States. These cases can be charged as a conspiracy under 18 USC § 371, Conspiracy to commit offense or to defraud the United States, in which case one person can be held for the entire amount of fraud. Making a Tax Return Error: Is it a Crime? While there is a difference between tax fraud and tax evasion, both can result in unwelcome monetary penalties, prison and serious repercussions. However, we must keep in mind that although tax fraud and evasion are both crimes, not everyone who makes a mistake on their taxes is guilty of fraud or evasion. The burden of proof is on the IRS, who must demonstrate that the mistake was made with intent. A qualified tax attorney working by your side can be the solution you need if you’ve been contacted by the IRS regarding your tax return and are facing charges. If you’ve made mistake or calculation error on your tax forms, know that you’re not alone. Looking over recent history (in 2015), there were 2.1 million math errors on individual federal tax forms. These likely included seemingly simple errors such as a mistake in the calculations, number of dependents or exemptions, tax credit errors, miscalculation in income adjustments, and more. Since most of these mistakes are made without intent to defraud the IRS, attorneys who specialize in tax fraud can help defend you if you’re facing charges. For the majority of taxpayers, the chances of being charged with tax evasion are very small. Mistakes are often viewed as just that. However, it does happen. If you are concerned with a tax audit, or with the line of questioning you receive from the tax authorities, your best option is to seek out a qualified tax attorney to help you through the process and protect your rights. While the accounts and attorneys who work with the IRS and the CID know the U.S. Tax Code inside and out, retaining a qualified tax attorney is your best bet if facing an investigation. They can delve into your situation and help explain the nature of any errors while working to convince the IRS that a criminal prosecution isn’t necessary and the mistakes on your return were just that — mistakes. There is a difference between tax fraud and tax evasion, but in the end, both can come with severe penalties, sentences and fines if the taxpayer is convicted. Mistakes can and do happen, but only those who have committed these errors with intent, and this intent is proven by the government, are convicted and sentenced. If you are facing federal charges for tax fraud, evasion, or are concerned you may be soon, contact Tim Bower Rodriguez for a full case evaluation. Our courtroom experience and team of retired criminal and IRS agents can help ensure the best possible outcome for your and your family or company. Learn more about federal tax fraud or contact us for a free initial tax fraud defense consultation today. When determining whether tax fraud or evasion is occurring, the IRS employees will look for suspicious activity.